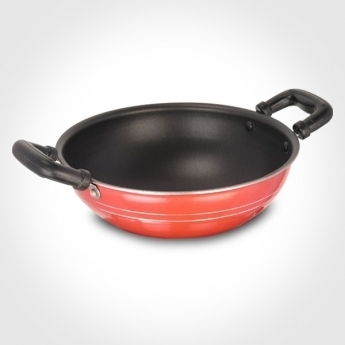 Our product range includes a wide range of Kadhai Non Stick Cookware, Deep Kadhai Non Stick Cookware and Kadhai With S.S Lid. It has the world's best Alpha coating. The coating is life long lasting. Metal spoons can be used. Oil free cooking can be done as well. As it is super easy to clean. Specially made for deep frying.